Taipei, March 15 (CNA) New research results released Friday showed the number of Formosan landlocked salmon in Taiwan's Shei-Pa National Park has reached 5,059, close to the maximum capacity of 5,800 that the park's Qijiawan River can handle. This endangered species of salmon has survived from the last Ice Age and is considered a national treasure in Taiwan. Apart from Shei-Pa National Park's decades-long efforts to protect the Formosan landlocked salmon, previous studies have found that the number of typhoons and floods also can influence the population of the species, the park's management office said on Friday. There had been fewer typhoons and floods from 2015 to 2018, which has led to a gradual recovery of the fish's population, the office noted. According to Cheng Jui-chang (鄭瑞昌), deputy director of the office, the species' number was concluded by researchers who wore snorkeling attire to count each salmon in the river. The office said that a total of seven research projects were carried out last year. 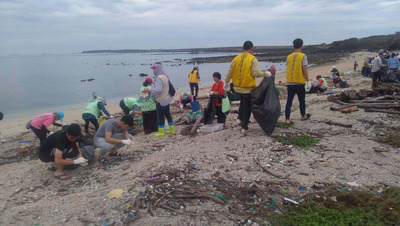 Besides the study on the salmon's population, researchers also carried out an analysis of the ecosystem and water quality in Qijiawan River, and the threat aquatic insects and birds of rivers and streams pose for the species. The research results will be published on the park's official website for public viewing and downloading. Shei-Pa National Park, which spans Hsinchu County, Miaoli County and Taichung City, boasts high mountain flora and endemic fauna, including the broad-tailed swallowtail butterfly and Formosan landlocked salmon, both of which were declared endangered species by the Council of Agriculture in 1989.